With his distinguishable Northern Irish accent and steely ‘don’t-mess-with-me’ glare, Liam Neeson has always been an idol of ours. With a broad frame, standing at an impressive 1.93 meters, Neeson is undeniably a big and tall man with a dramatic presence. Born on June 7, 1952 in Ballymena, Northern Ireland, UK, Liam Neeson’s career had a long road before the bright lights of Hollywood. Starting out as a forklift operator for Guinness, he tried his hand at a number of careers, including; truck driver, assistant architect and even amateur boxer. In was only in 1976 that Neeson first became involved in the arts, joining the Belfast Lyric Players’ Theatre and making his professional acting debut in the play “The Risen People“. After two years, Neeson moved to Dublin’s Abbey Theatre where he began performing regularly and was eventually spotted by director John Boorman and cast in his first high profile film ‘Excalibur’ (1981). But it was his breakout role in the unexpected box office hit ‘Taken‘ in early 2009 in which Neeson found a new surprise career as an action leading man. 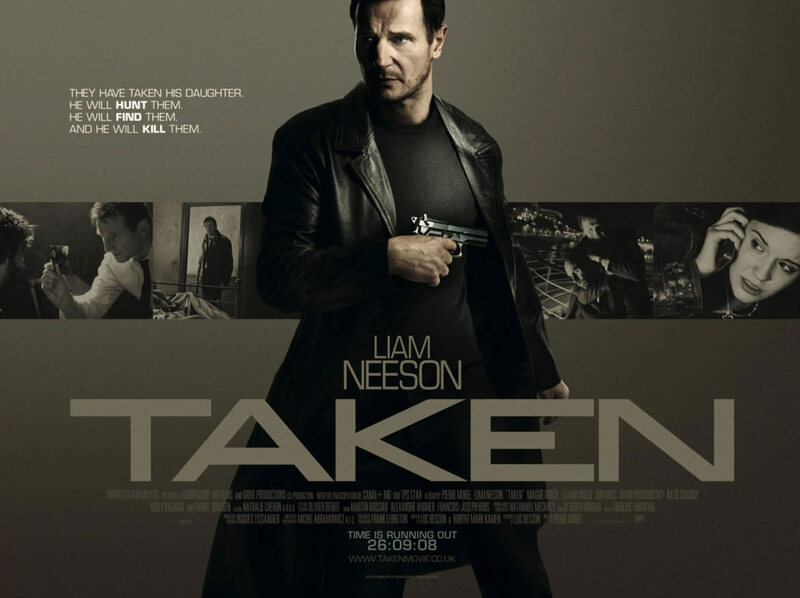 After a brief sabbatical from acting to grieve the tragic loss of his wife, Neeson returned to high-profile roles in 2010 with back-to-back big-budget films, returning to his area of expertise in the action genre with films such as ‘Unknown’ (2011), ‘The Grey’ (2011), ‘Battleship’ (2012), and ‘Taken 2′ (2012), as well as the sequel ‘Wrath of the Titans’. 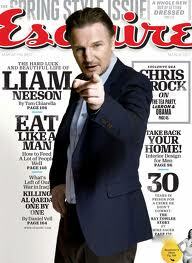 Achieve Neeson’s iconic look by combining your favourite navy blazer with a casual pair of dark indigo jeans. We recommend this classic jacket by Blazer featuring sophisticated detailing that is ideal in creating a modern look. Crafted from soft, durable 100% wool, this two button blazer includes intricate crest emblazoned buttons, two rear vents and stylish black and white inner stitching. Pair with these dark wash R.M. Williams and you have an unbeatable combination. Built to last, these jeans are constructed in Australia from robust denim and are specially designed for a rugged yet stylish man. Off the red carpet, Neeson distinguished his tall frame with casual button down shirts combined with jeansand more often than not, a coat fitted perfectly to his masculine shape. “Some mornings you wake up and think, “Gee, I look handsome today.” Other days I think, “What am I doing in the movies? I wanna go back to Ireland and drive a forklift”.